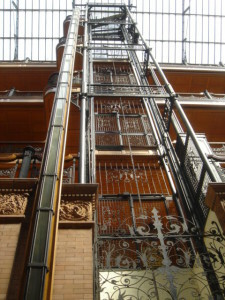 Blade Runner fans, people into steam punk and architects all agree the Bradbury Building is awesome. 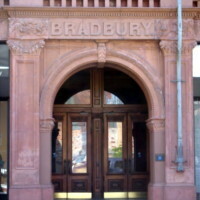 Bradbury hired George Wyman who had no previous experience as an architect to design his now world famous building in 1893. Wyman based the design on a sci-fi book which described what the year 2000 might look like so this building represents what many people in 1921 thought the world would look like today. 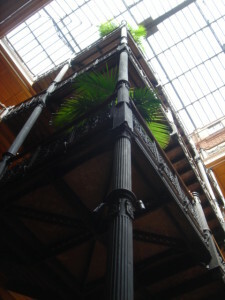 No expense was spared and the Bradbury Building represents the highest quality of construction at the time it was built. 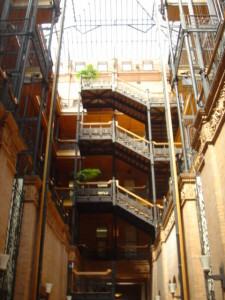 The interior is most famous for being the setting in the movie Blade Runner. 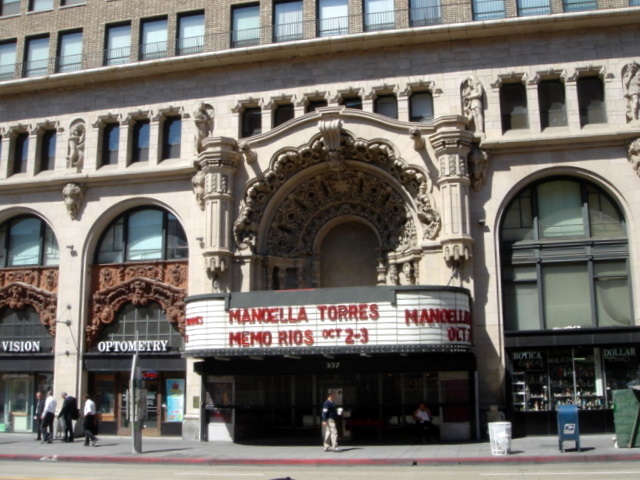 There is a famous fight scene that spills out of the building and into the streets. The World Theater across the street can be seen in the movie and in the photos here. 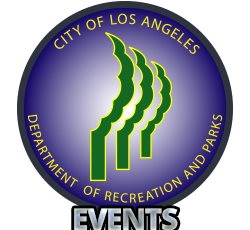 Sci-Fi fans may want o make their Blade Runner Day in downtown complete by walking four blocks to the Bonaventure Hotel which was used in the artwork of the modern skyline used in the movie. 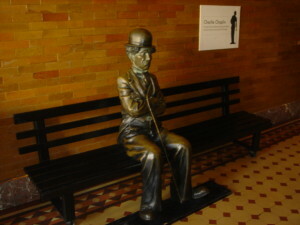 The building is open most days but they do close it for filming from time to time. 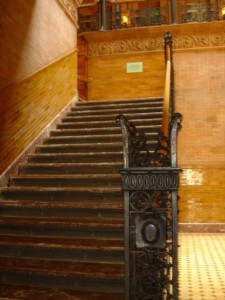 Visitors are welcome to come in and take pictures but nobody is allowed above the first landing on the stairs without an appointment with the internal affairs department of the LAPD or the few other businesses which still work out of the building. When you go say hello to Charlie for me.